Is This Why You Can’t See at Night? The lack of daylight in the evening can limit some people’s ability to see and get around. But it doesn’t have to be that way. Night blindness (nyctalopia), the inability to see well at night or in poor light, is not a disease. It’s a symptom of an underlying condition. In most cases, it’s treatable; in others, it’s not. Fortunately, severe forms of night blindness are very rare. Nearsightedness can make it difficult to see well in the distance in the dark, particularly if you don’t have strong enough glasses or contact lenses. In that case, a new prescription might be all that’s necessary to correct your problem. Certain medications can also cause temporary problems with night vision. Some medications can alter the size of your pupils, which might make it difficult to see in low-lit conditions. There are also medications that slow down the eye’s ability to adapt from bright conditions to dimly lit conditions. This causes a temporary inability to see in the dark until the eye is able to adapt. Talk to your doctor if you are concerned about how your medications are affecting your vision. Cataracts, which cloud the natural eye lens, are another treatable cause of night vision problems. As a cataract forms, less light can enter the eye, which means you’ll need more light to see. 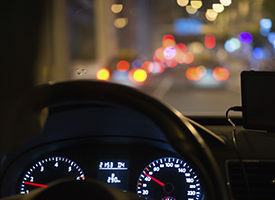 People with cataracts frequently complain of difficulties driving at night. Surgery to remove the cataract can resolve this problem. Nutritional deficiencies can also decrease your ability to see in the dark. Replenishing the deficiency can often help to restore your night vision. Retinitis pigmentosa is one of several hereditary diseases that cause a permanent deficit in night vision. Since this condition is genetic, it can affect children as well as adults. Retinitis pigmentosa results in deterioration of the retina, which is the part of the eye that senses light. If you have this disease, you may have difficulty getting around because it also affects peripheral vision and can even cause problems in normal lighting conditions. There are lifestyle adjustments you can make, but unfortunately no curative treatment currently exists. 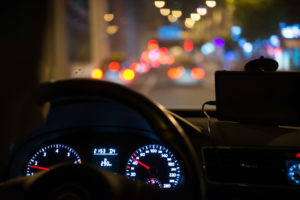 Most common causes for night blindness are treatable. However, there’s no effective treatment to stop or cure some, like retinitis pigmentosa. So, in those rare types, you’re going to have to adjust your lifestyle to accommodate your condition. You won’t be able to drive at night, so you’ll need to find alternative transportation if you’re planning to go out after dark. You may also want to carry an extra light source with you, like a flashlight, so you can provide your own light when you’re not in an ambient setting. And if you have this condition, it’s very important that you keep any appointments with your eye doctor. Many eye diseases have no symptoms, which is why I tell my patients it’s important to get a routine eye exam every year whether you think you have a vision problem or not. Regardless, if you begin to experience a progressive loss of nighttime vision, your condition is most likely correctable, so make an appointment for an eye exam. Can Cataract Surgery Free You From Glasses?